Drugstore makeup brushes are a particularly tricky corner of the high-street beauty world to navigate. While the prices may be considerably lower than those of their luxe counterparts, there is always the risk that you're buying into a bit of a false economy. We've all experienced the frustration of going to apply blusher to find giant clumps have fallen out of the brush head or getting halfway through a smoky eye to find that the hairs of our eye shadow blending brush aren't picking up the full pigment pelt we can see in the palette. The worst part is that it's pretty much unavoidable to mitigate this risk. So often makeup brushes are packaged in closed containers in store, so you can't even try on the back of your hand before you buy. To get it right, you need someone you can trust to tell you what's up—and hello, we're right here. We've compiled our roundup of the best drugstore makeup brushes that have just as much going for them as higher-priced options. Keep scrolling to see our recommendations, and may your makeup be expertly blended forever more. Real Techniques may be an affordable brand, but you'd be hard-pushed to find any discernible differences between these brushes and more high-end ones. In fact, you often spot them in the kit bags of some of the world's greatest makeup artists. The fibres are all sythentic (and thus cruelty-free), but each and every brush head has been specifically engineered to fit the contours of the area of the face it is intended for, and the hairs are all at the optimum distance to collect and drop off the perfect amount of product. 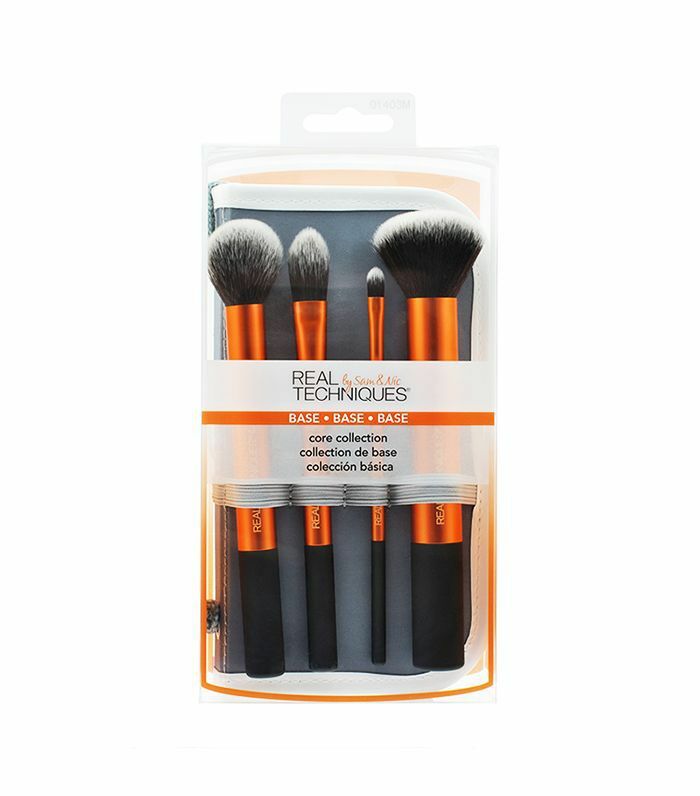 Key buy: We suggest you start with the Real Techniques Core Collection (£22), which has brushes suitable for applying base, as well as contour, blush and bronzer. But the hero brush has to be Real Techniques Pointed Crease Brush (£12), which blends eye shadow like nothing else. Morphe is one of those underground beauty brands discussed at length in inner beauty circles, but surprisingly enough, not everyone knows about it. Every single brush the brand makes is really hard-wearing, so it will last you years (as long as you wash it regularly). And the fibres are so soft—they brush makeup on seamlessly. 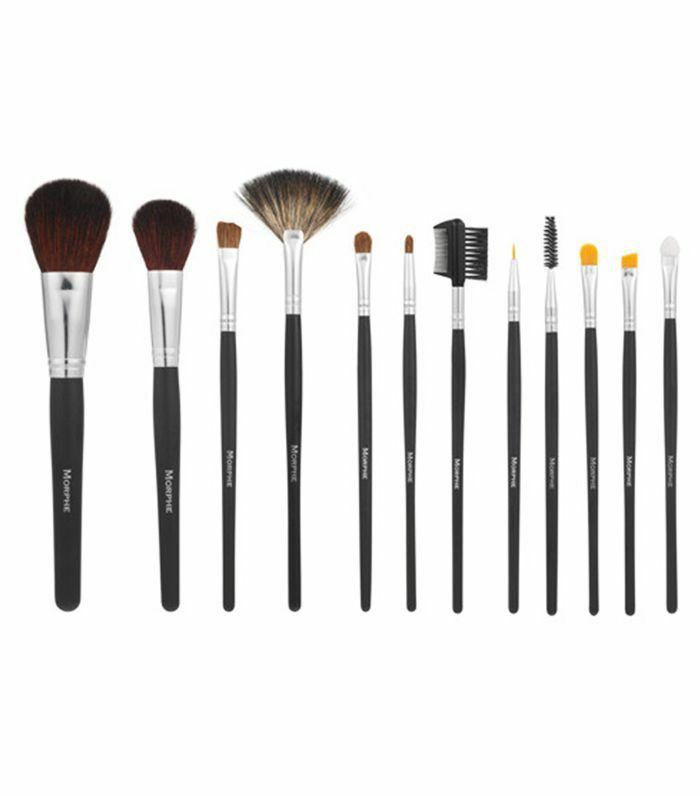 Key buy: Morphe 12 Piece Sable Brush Set (£14) is a good starter kit at a pretty incredible price, but the brush we love the most is the Morphe Angle Liner Brow Brush (£3) for applying eyebrow gels and pomades. 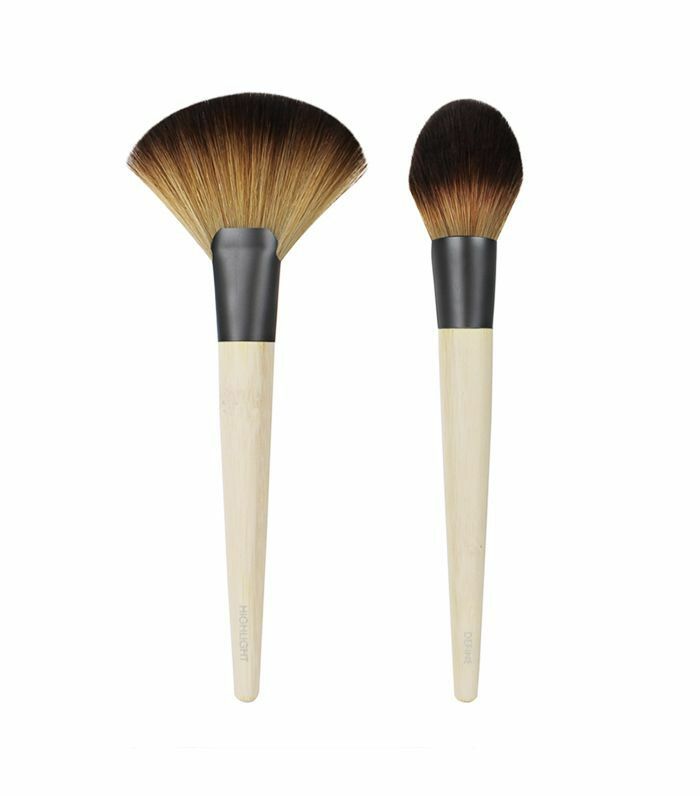 Eco Tools creates brushes from bamboo and recycled aluminium, and each one is 100% cruelty-free (an important thing to consider if you're following a vegan beauty regimen, as one Byrdie editor found out). Key buy: Eco Tools Define and Highlight Duo (£12) is the perfect pair for buffing on powder highlight and contour products, but we also love the clever Eco Tools Foam Applicator (£5), which is basically a makeup sponge on a stick that gives you better control when blending in concealer and foundation. 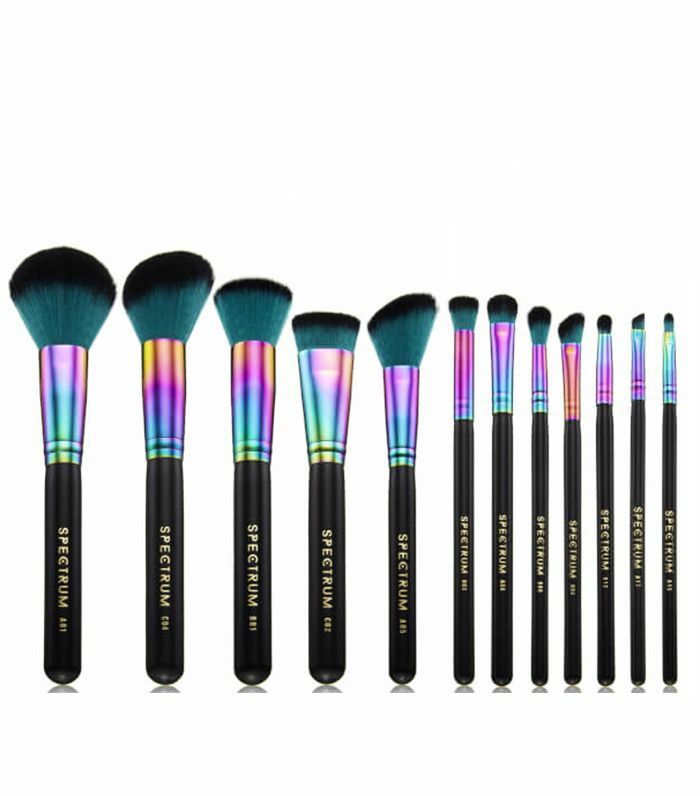 Not only do they win hands down as the most Instagrammable makeup brushes around, but Spectrum Collection's pieces are also really good. Key buy: The 12 Piece Siren Brush Set (£90) has just about everything you could need for a full face, including our favourite Flat Contour Brush (£9), which tucks very nicely under the cheekbone, placing contour creams just where you want them. No7's range isn't as comprehensive as some other brands, but you're bound to find most things you need in its brush range. They're so soft, and each has tapered bristles that allow really delicate application, so you never overapply anything. 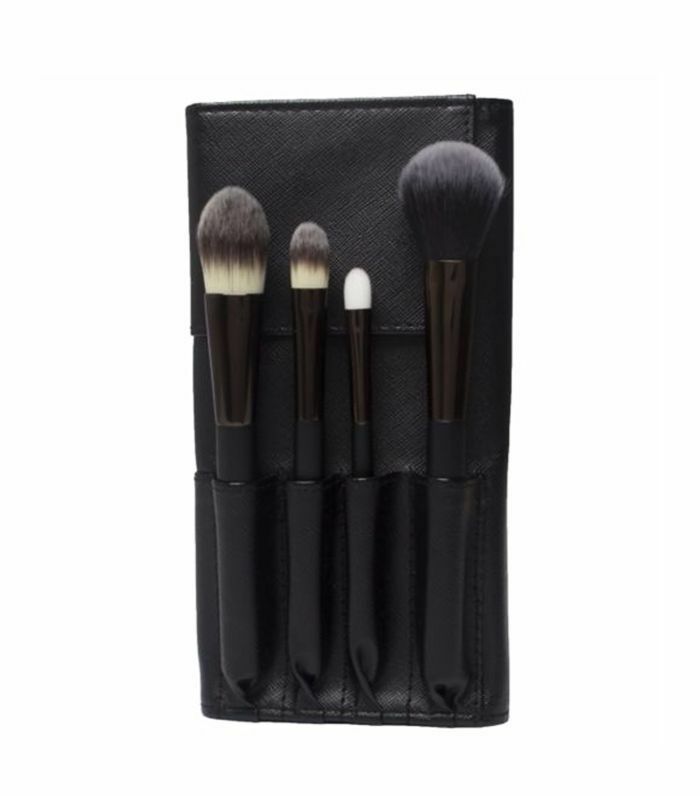 Key buy: No7 Core Collection Brush Set (£23) (£15) comes in a handy roll-up pouch, and the brushes have enough versatility that you can apply most things with them. We're also fans of the No7 Eye Colour Brush (£8), which comes with flat, densely packed bristles that pack on the pigment. Up next, we swiped, swatched and spritzed our way to finding the very best drugstore dupes to find our favourites.